Whenever graduation season rolls around, I find myself volunteering (by request) to review the resumes of recent college and professional school graduates. Since these individuals are preparing to enter the job market, they are often seeking advice on preparing a marketable resume. I am always happy to help out, especially since I have gathered a lot of intel over the years on how to craft a great resume...each one teach one! Most times, the resumes I review are pretty good...but every now and again I get one that makes me cringe. These resumes are what I like to call "unfortunate," mainly because they possess one or more of the unfortunate incidents I have listed below. These unfortunate incidents have the potential to kill your chances of getting the job you want before a prospective employer ever meets you...that's if the employer still wants to meet you. Just the thought of your resume killing your chances is...unfortunate. In an attempt to avoid all of this unfortunateness (I made that up! ), and in the interest of sharing, take a look at my list of unfortunate incidents and then look at your resume. 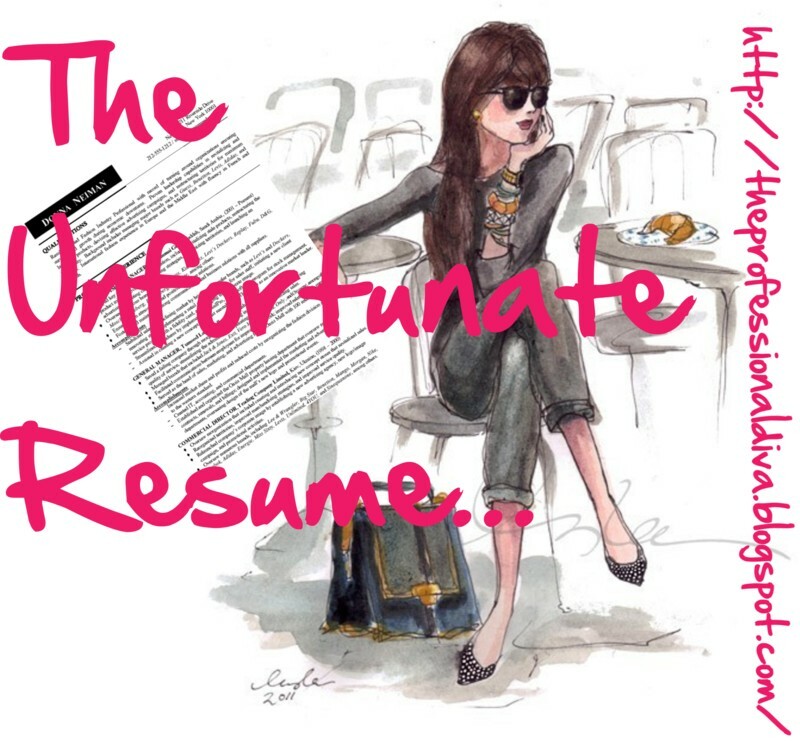 If your resume possesses one or more of the incidents listed below, fix it now! Enjoy! So, you graduated in May, but your resume says that you are expecting your degree in May. You are no longer working at your last place of employment, but your resume indicates that you are still working there. This is one of my pet peeves when reviewing resumes...failure to update before submitting. What does this say to a prospective employer? It says that you were too lazy to review and update your resume, and lazy is never a good trait for a prospective employee. My advice: thoroughly review your resume every time you have a significant change, like a promotion, a graduation, or a new job. Also be sure to review your resume each time you send it out to make sure it is appropriate for the position in which you are applying. Do I really have to get into this one? Someone once told me that your cover letter and resume are not only your first impressions, but also your first writing samples. As such, typos are unacceptable. They are especially bad when you are looking for a position with the following job descriptions: "attention to detail," and/or "great writing skills." Typos in your resume take you out of the game before you've made it in the door. Yes it's a resume and not a dissertation, but bad grammar in your resume is just as offensive as typos. Again, if you think of your resume as your first writing sample, you will understand why it is important to tighten things up. Remember that when describing your current position(s), use present tense; all past descriptions should be in past tense. Avoid contractions whenever you can, and make sure you are consistent when punctuating. If you are applying for a specific position and you want you prospective employer to know that you have the skills for said position, having a detailed job description in your resume is crucial. What do I mean by this? When preparing the "Experience" section of your resume and describing you current and past responsibilities with respect to you present and past positions, be sure to vividly and thoroughly describe your tasks. Let you prospective employer know that you have some experience doing what he or she needs you to do. Skimpy job descriptions deny you of this opportunity. So brag a little! I have a slight case of OCD, and resumes that are not organized in a logical fashion frighten me. Do not frighten your potential employer. Keep your resume neat. Keep you key categories simple, and make sure your formatting is consistent. Your resume says you are fluent in French, but you're not. Your resume says you graduated from business school, but you won't graduate for another six months. Your resume says that your GPA in law school was a 3.4, but it was really 3.2. When you lie on your resume, you become a liar, and you are no longer a viable candidate to a prospective employer. Why? Because in the employer's mind you are untrustworthy, and untrustworthy folks are detrimental to his or her business. Simple fix: just be honest. 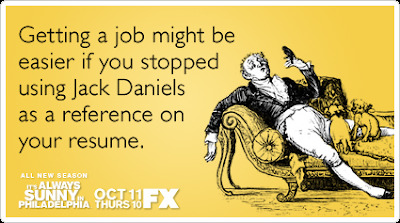 Don't take the chance that a prospective employer may find you out! #7 is a big one yet people do it all the time. Gramma is not my strong point so when it comes to the important things I seek help, some people are too proud to ask someone to look over their work. It's true! A little help goes a long way. I always ask for a second look, just to make sure I haven't missed something. And what is it about #7? That seems to be the biggest offense.